I have had over 100 smartphones in my lifetime and many of those phones have had a Speck Presidio Grip Cases on them. 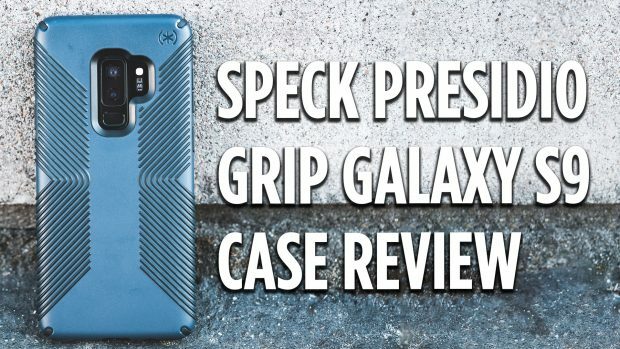 I will occasionally do a case review if I like the case and it would be easy to do a review of each Speck Presidio Grip case I get, but I try to only review this case every once in a while. The Speck Presidio Grip Case for the Galaxy S9 and Galaxy S9 Plus is one of the best cases available for the phone. Though Galaxy Phones often get a wide variety of cases due to the phone’s popularity, Speck’s case design continues to provide style and protection to our fragile technology. Let us know what your favorite Galaxy S9 or S9 Plus case is in the comments section below.